No WMO ID. One of it’s ID is DCNN 8491. A definite photo of the Stevenson screen would be nice if anyone can unearth one although I am pretty sure I am correct. Estimate Class 5. Fails Class 4 on >50% hardstanding within 10 metres and more than 30% within 3 metres. Probably shadows too. UHI, local, in parks horticultural compound, near greenhouses, car parking, waste disposal, cold frames, within tall perimeter hedge, distance 1km centre of Cardiff. Whether they keep the compound gate open or closed… see Google at other times. This station is an incidental simply out of interest showing local conditions. BBC written 2nd March 2012, “Warmest place in UK” although in reality this station is isolated from extremes, not very interesting. I think stations such as this ought to be ignored nationally. Station records are confused but seem to go back to 1978, few other parameters measured. I suspect stations changes. Used to have a sunshine recorder. I think it is muted in both directions but it’s all Cardiff has these days, other stations have close. There has been a lot of controversial restoration work carried out in Bute Park of late. The internet is full of protests by various groups and individuals. The work that most affects the Stevenson screen is a new delivery circulation road for the nursery, figure 46 Page 222 in the restoraton pdf to be found in the link below. The Nursery has also become an education center but this work does not seem to include the area that the screen is sited. The conifer hedges on the Southern and Eastern sides of the main area have been cut down to be replaced by walls and climbing roses. The aerial mapping sites have not got this work yet. 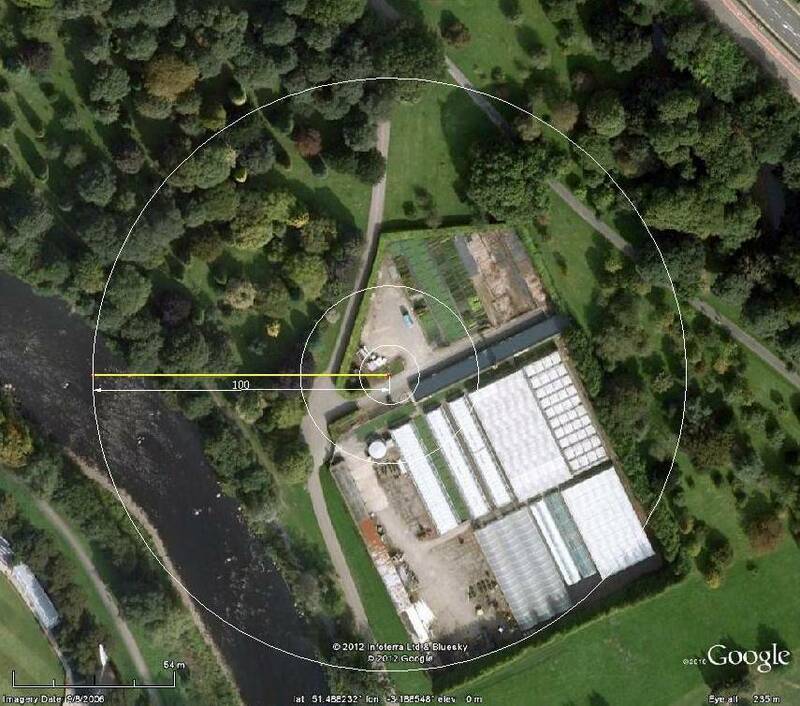 The big problem with the site is that the screen is within a walled and hedged garden which is used to create a micro climate for the raising of plants for the park so the readings will not be indicative of the area as a whole. So you would expect the temperatures inside to be more like May than February. Here is a link to a smaller pdf of a document issued by Cardiff Council to explain their reasoning for the new road and bridge. It does run beside the screen but seems to be over the surface of what is already paved. I really do think the BBC should give a health warning when they announce that the Welsh capital is warmer than Athens. Walled Gardens are what UK gardeners build to create micro climates similar to Athens. Wonder what they are going to do now? Station after station closed in and around Cardiff, I think last one was the weather centre, about a km from Bute Park. Sorry I am a bit morose, horribly tired. Might comment later.